Joseph Barcero: “I’m thankful for my friends and family as well as my lovely new gf whose made my semester much easier on me despite how stressful it has been. I’m also thankful for my best friend who has been there for me all year this year particularly and always there to listen and support me. 🙂 ” ~Joseph was actually our drawing winner, congrats! I didn’t participate in the contest, for obvious reasons, but I wanted to take a personal moment to share my thanks- I’m super thankful this year for the amazing 2012 I’ve had. I finished my first full year as a full-time employee with Saint Rose, in a job that I still feel so lucky to have. I got married to my best friend, and still feel weird saying “husband.” 🙂 And, I also want to send a special thanks to our Saint Rose blog community- our readers, of course, but also to each blogger! Without you this blog would just be my random silliness on occasion. 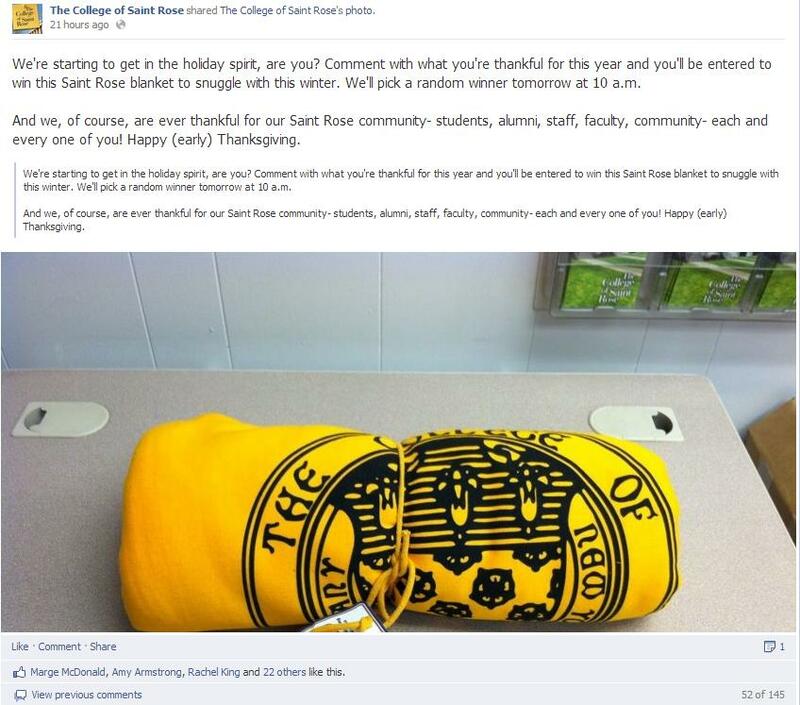 Thank you for sharing your Saint Rose stories!